Circulating warmth around your house from a wood burning stove can be a chore. 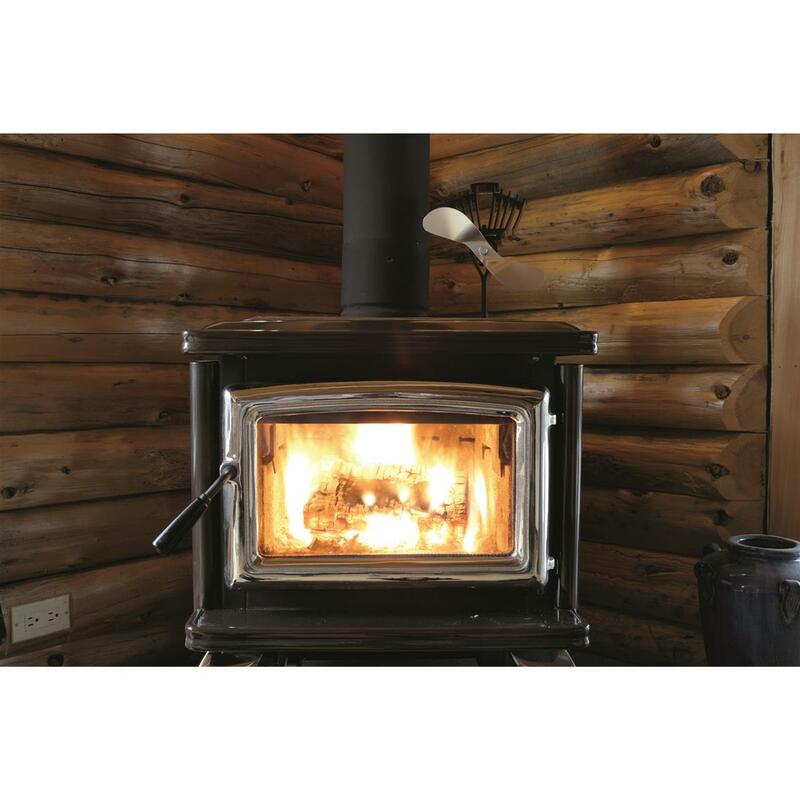 Whether you use a plug-in fan or a battery operated one, you still end up paying for your heat in the long run, which negates the reason to use a wood stove. 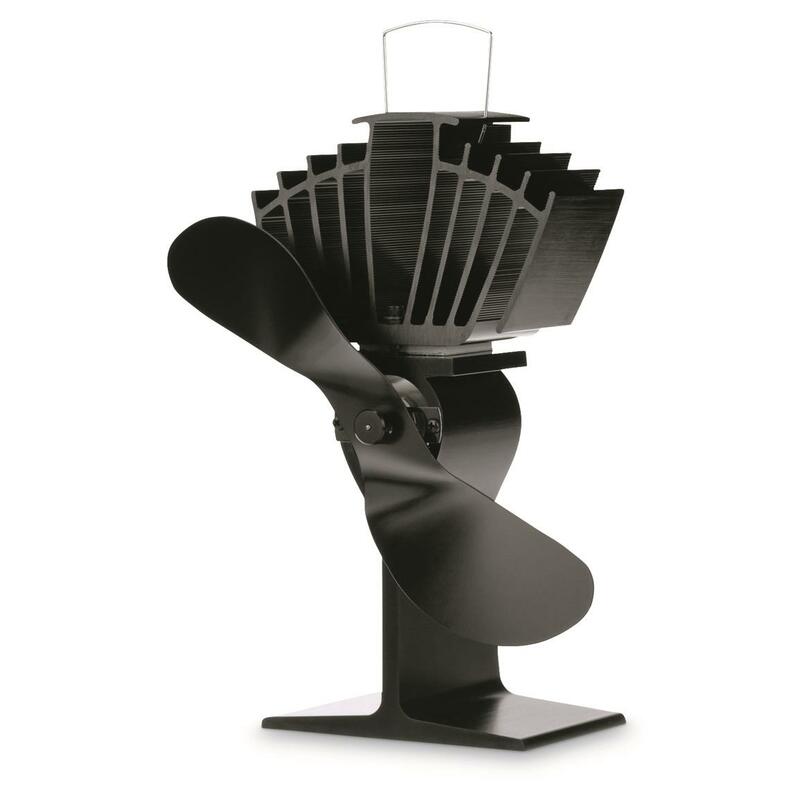 Ecofan has come up with the perfect solution with their Wood Stove Fan. The AirMax gives you the greatest amount of airflow over the a wider range of Wood Stove surface temps. It's used with freestanding wood stoves that possess a surface temperature of 185ºF to 650ºF. It's a great money saving way to move warm air throughout your entire living area, without paying additional money. But where does the power come from? 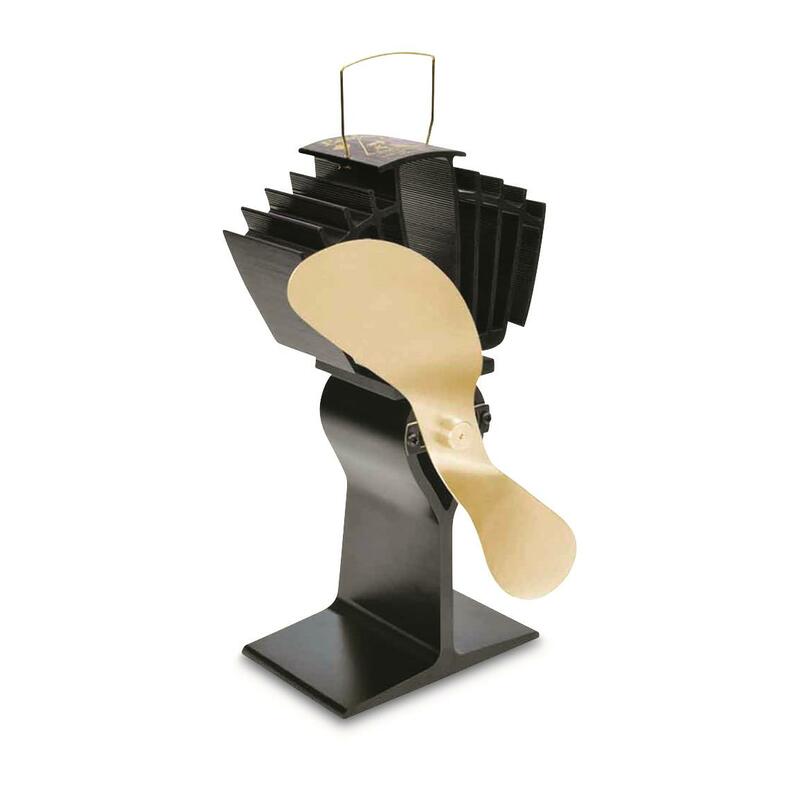 The Caframo Ecofan® AirMax Heat-Powered Wood Stove Fan produces its own electricity with the thermoelectric module. 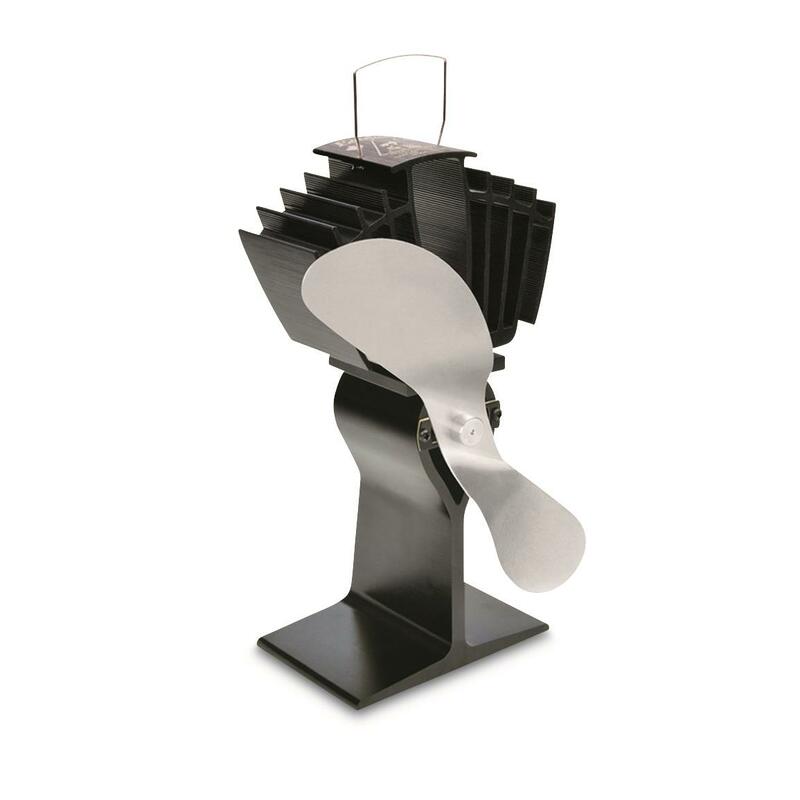 This module allows the Fan to convert heat into the power necessary to propel the fan. 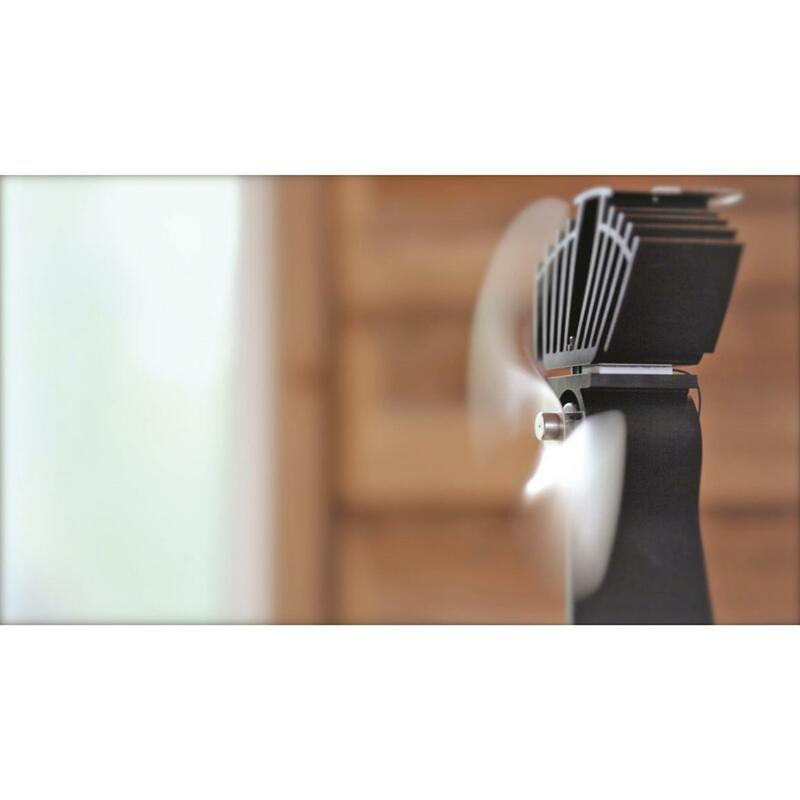 As the surface temperature of your wood stove heats up, the fan will begin to turn. 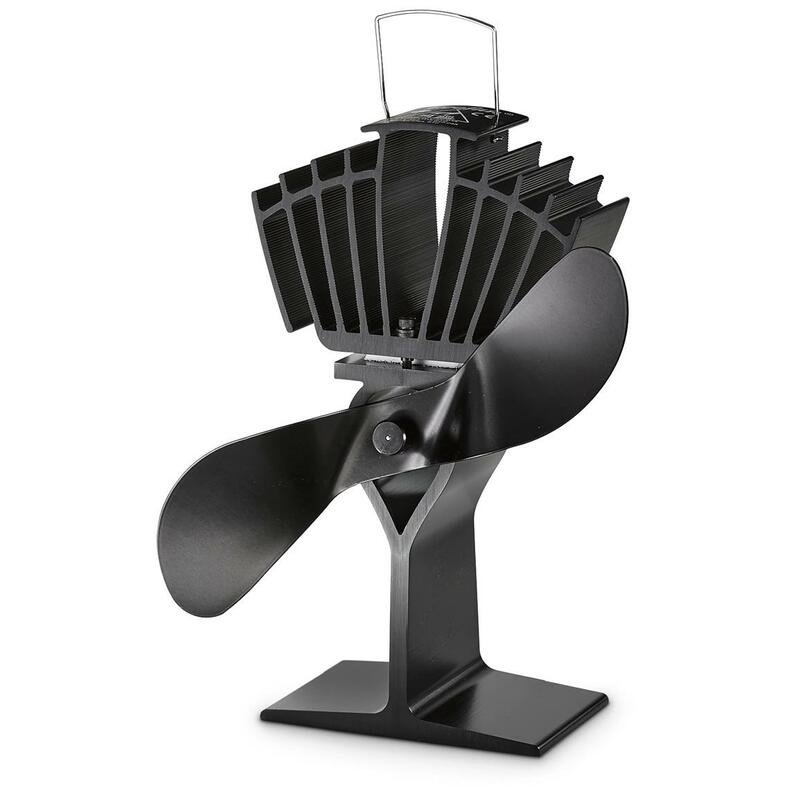 The higher the surface temperature, up to 650ºF, the fan spins faster and faster. 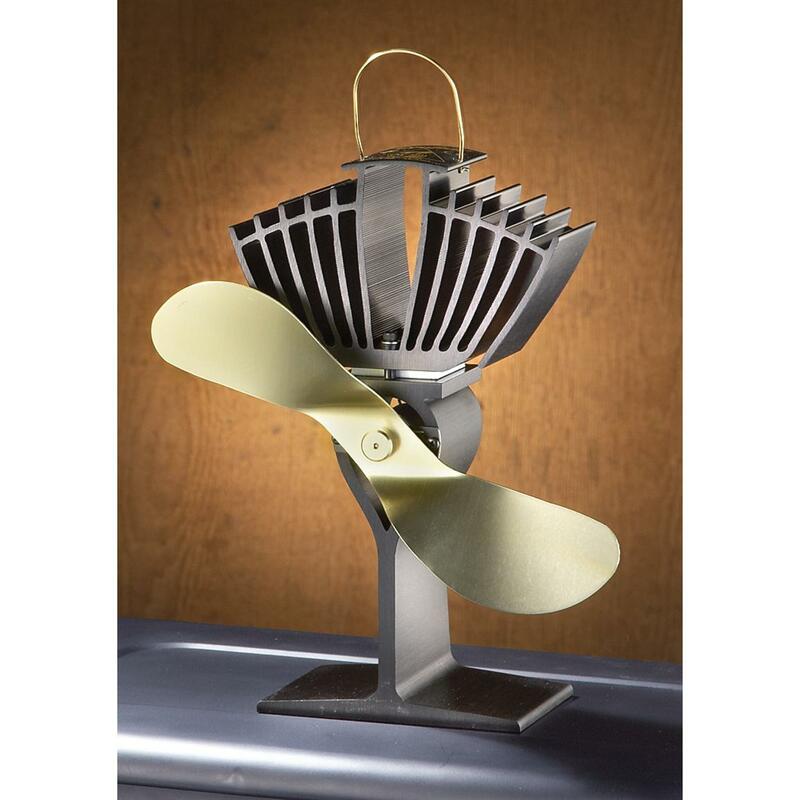 As the contents of your Wood Stove burn down and the surface temp begins to less, so does the speed of the fan. If the surface temp drops below 185ºF, the fan stops spinning. 5.5" x 3.3" x 10"h., 3.8 lbs. Circulate your warmth and order today. 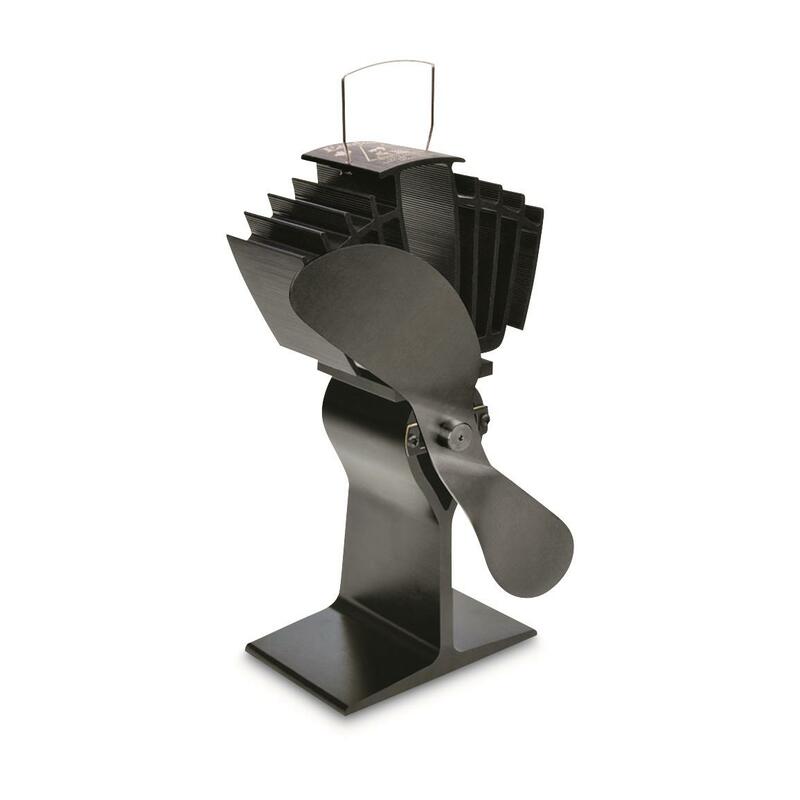 Dimensions: 5.5 x 3.3" x 10"h.
Caframo Ecofan AirMax Heat-Powered Wood Stove Fan is rated 4.5 out of 5 by 95. Rated 4 out of 5 by Frank from Just get it. I've been considering purchasing this fan for a few years, I wish I had just bought it when I first saw it. It will not heat your back rooms, but it does help with the front rooms. It is silent. It is expensive, but should pay itself off if it lasts long enough. Rated 5 out of 5 by Dave from Great Had a power outage the last few days. The fan helper our little wood stove to put out enough heat to make our 22X22 room comfortable. Rated 5 out of 5 by Big Chino Al from Ecofan Great little machine. Well-made. Helps distribute the warm air generated by our wood stove. The only drawback is that it is that I feel it is rather expensive for what it is. Rated 5 out of 5 by Mike in Michigan from magic This thing is a marvel. I have seen these before. I have a wood stove in my lower level walkout. I always thought that it worked somehow with the heat pouring over the fins on it. Well sort of, it actually makes electricity that powers a small electric motor spinning the prop. It turns itself on and off with the degree of heat and really spins when hot. It is not like prop wash from a swamp boat but it does move hot air from the stove. I do not understand how it works (magic) but it does. I think that it is fairly pricey but it does work. 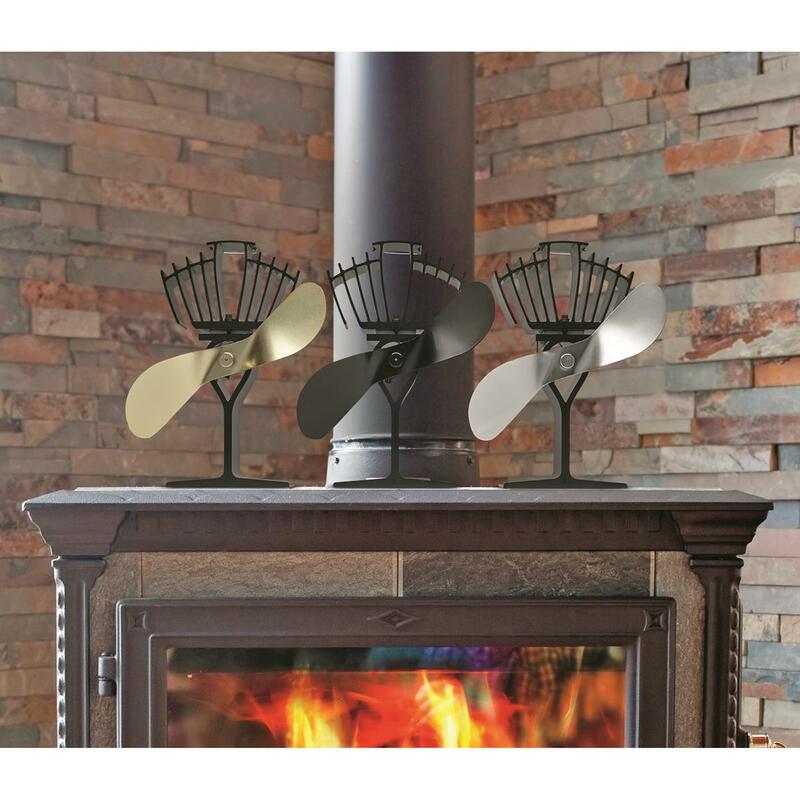 Rated 5 out of 5 by moreammo from Great for moving warm air off the wood stove This is my second Ecofan and I cannot say enough good things about them. the first lasted over ten years and actually is still going. 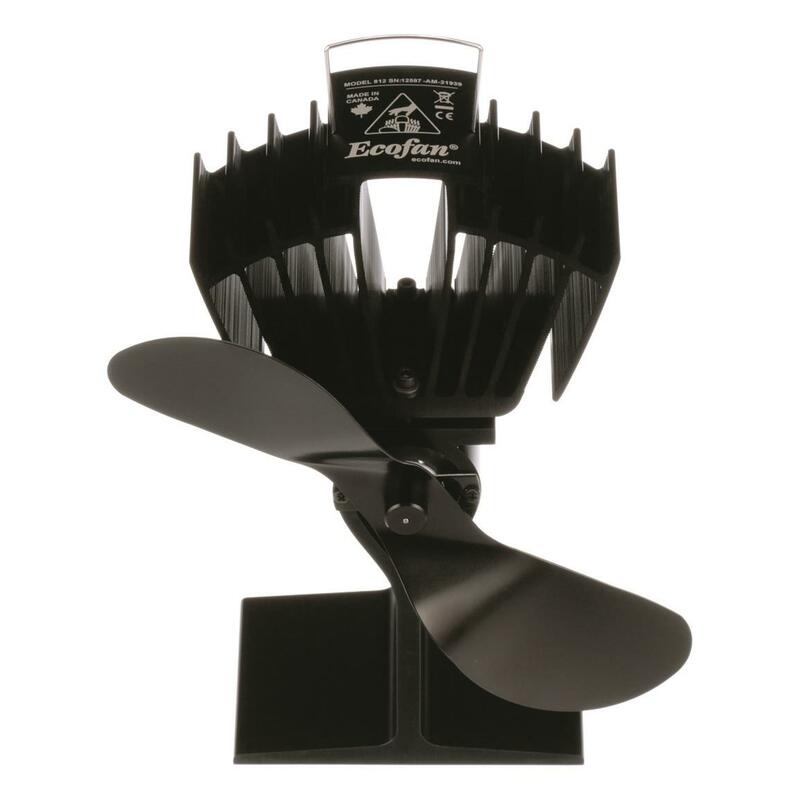 Using this fan helps me warm my house ( no exaggeration ) 2 to 3 times faster than without them...you will like it !